A new exhibition – Valhalla – Life and Death in Viking Britain – will open on 8th February at Shrewsbury Museum & Art Gallery. The exhibition will give an insight into the lives of the Vikings in Britain and will feature artefacts and human skeletons that have been discovered at burial sites. Research on show will include recent evidence discovered about their beliefs in the afterlife and how Vikings commemorated and celebrated their dead. The exhibition will also include objects from working and domestic life, replica objects from boat burials and skeletal remains. The exhibition will also showcase the Hungate and Coppergate excavations from York as specific case studies, although Shropshire’s own Viking history will also be central to the exhibition. Visitors will be able to learn the story of Hastein, an adventurer who travelled up the River Severn as far as Welshpool and is known to have raided as far afield as southern Europe and north Africa. The Branch AGM will take place on Saturday 21st February at the Nottingham Mechanics, 3 North Sherwood Street, Nottingham NG1 4EZ at 10am. The talk will look at the Viking settlement of the Midlands and the impact they had on the landscape of the Midlands. It will consider what we know (and where this knowledge comes from) and discuss some of the theories that are currently discussed by academics. If you enjoy learning on Nottingham WEA Branch courses, come to our AGM and find out how to become more involved in the branch and in planning future courses. Brinks, S and Price, N (eds). 2011. The Viking World. Routledge. Haywood, J. 2013. Viking: The Norse Warrior’s (Unofficial) Manual. Thames & Hudson. Richards, J. D. 2005. The Vikings: A Very Short Introduction. Oxford University Press. Crossley-Holland, K. 2011. The Penguin Book of Norse Myths. Penguin. Page, RI. 2006. An Introduction to English Runes. Boydell Press. Page, RI and Parsons, D. 1998. Runes and Runic Inscriptions. Boydell Press. Durham, K and Noon, S. 2002. The Viking Longship. Osprey. This short animated video provides a neat introduction to some of the beliefs of the Vikings including their gods – particularly Odin, Thor and Loki – and Ragnarok. The Vikings, also known as the Rus, travelled east into what is now Russia on their way to Baghdad. This video describes the evidence we have for them in this region. You may also wish to listen to The Volga Vikings, part of BBC Radio 4’s series ‘In Our Time’ presented by Melvyn Bragg. The episode features James Montgomery (Professor of Classical Arabic at the University of Cambridge), Neil Price (Professor of Archaeology at the University of Aberdeen) and Elizabeth Rowe (Lecturer in Scandinavian History of the Viking Age at Clare Hall, University of Cambridge). 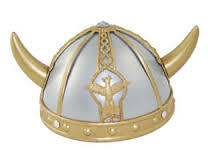 Who are the Vikings? Were they truly the raiders of myth and legend? What was their life like? From Tuesday 6th May, Nottingham Branch is running a course on The Vikings. It includes a visit to the British Museum Vikings exhibition by coach on Tuesday 13th May. The exhibition and coach cost is included in the course fee. This video clip is of Jarlshof from above. It was created for Historic Scotland by Kieran Baxter and tells the story of the settlement at Jarlshof (Shetland Islands) with speculative reconstructions of lost buildings using photographs taken from a kite-suspended camera. In addition, learners may wish to listen to the podcast on the Vale of York Hoard from the ‘History of the World in 100 Objects’ series. Podcasts are available to listen to or download from the BBC website. Those of you taking the ‘Viking World’ course may be interested in this post by the Curator of the forthcoming ‘Vikings’ exhibition at the British Museum.